This year, lets take things differently and fill these twelve months with memories, wanderlust and an adrenaline rush. We’ve created this guide to to explore and experience this haven called Northeast. Each month has three plans for you, each suited to make the best of the 16 long weekends of the year! Take a look and get packing! 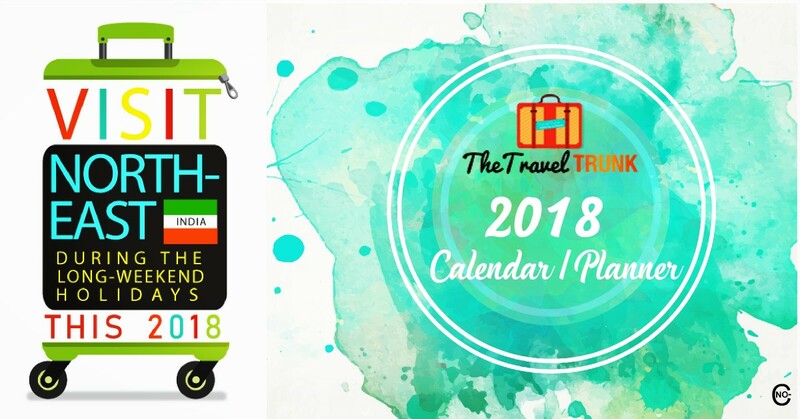 Plan A: Brahmaputra Beach Festival (Assam) – On the sandy shores of the Brahmaputra, the Assam Tourist Development Corporation, along with the Assam Boat Racing and Rowing Corporation, present a two-day event that makes the most of the weekend. Brimming with artists from different corners and bustling with tourists, you can take your pick on activities ranging from kayaking, paragliding, rafting or watch as elephants race and kites flown. Plan B: Magh Bihu (Assam) – As the end of the harvesting season approaches, households in Assam prepare their Bihu delicacies to celebrate the toil and the culmination of the harvest. Beginning with the bonfire or known as meji and Bhelaghar with the rising of the sun to the feasting and the celebration of goodwill, happiness and gratitude, this festival showcases Assamese hospitality at its best. Feast on the delectable Pitha and Laroo, sip on some fine Assam tea as you warm yourself beside the bonfire or tuck into some of the authentic meat curries and dishes. 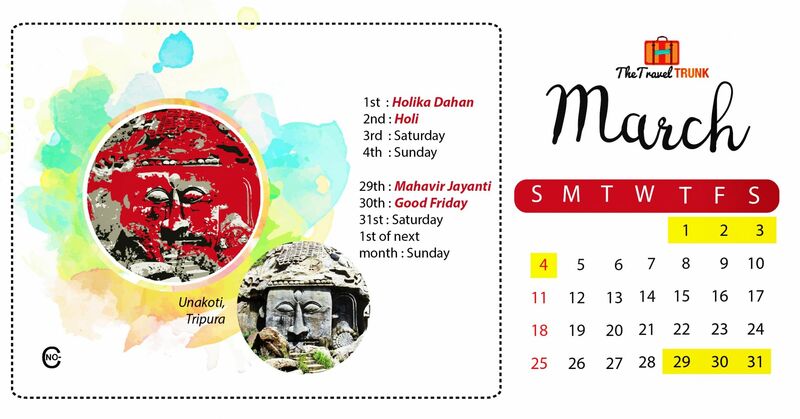 Magh Bihu is the festival to take a holiday for. 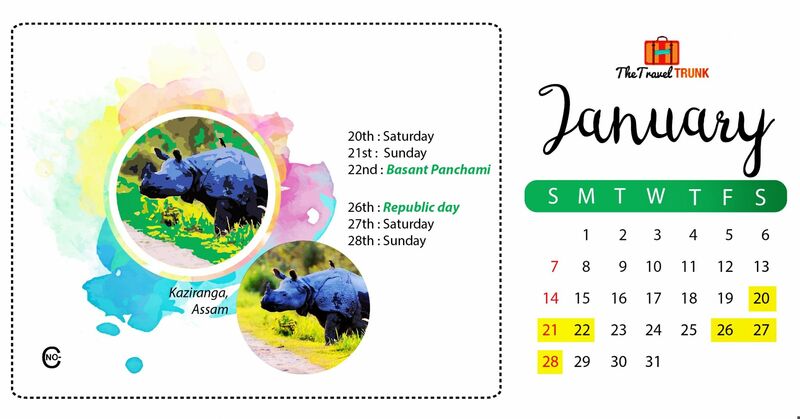 Plan C: Kaziranga (Assam) – Deemed as a World Heritage Site by UNESCO, Kaziranga National Park is one place your calendars have to mark a date for in the winters. The habitat of the one-horned rhino, a tiger reserve and a hotspot of biodiversity, the raw beauty of this park makes it a perfect start to the new year. Go on safaris, put on your binoculars and ride on elephants. This January, let it begin in the wild. 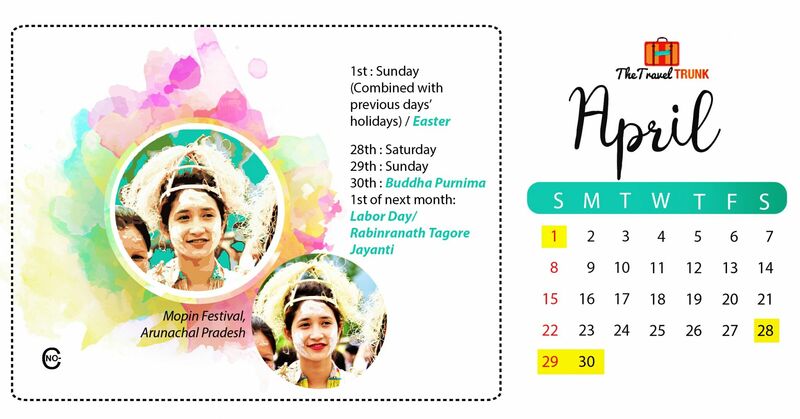 Plan A: Aoleang Monyu Festival (Nagaland) – Quite the harbinger of spring, this festival of the Konyak Nagas is a fusion of indigenous rituals, beliefs, customs and traditions that mark a positive beginning for their new year. Marked with events that reflect the rich cultural history of the Konyak tribe, the festivities comprise of road shows, traditional dances, songs and games and culminate with the Aoleang feast. For a fine blend of tradition and celebration, the Aoleang festival is where the road should guide you to. Plan B: Lachung (Sikkim) – Flanked by lofty mountains and dotted with blooming rhododen-drons lies Lachung, the pretty as a picture destination in Sikkim. Set at an elevation of 8,610 m with snowcapped peaks and gushing waterfalls, the destination is perfect with the onset of spring. Take a stroll around the apple orchards, witness the river from which the place gets its name or simply en-joy your peace and quiet, Lachung offers to you its pristine beauty for you to enjoy. 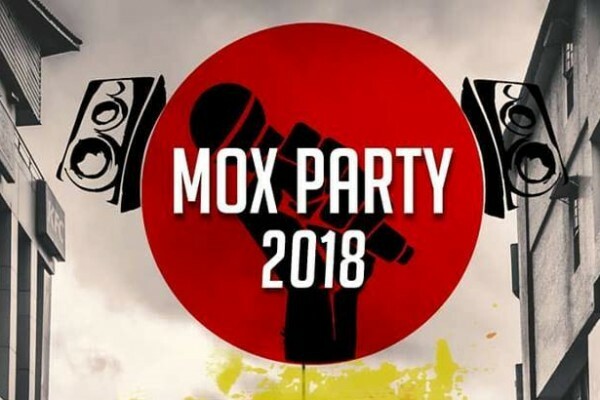 Plan C: Mopin Festival (Arunachal Pradesh) – With a strong-rooted optimistic belief that serves as the basis for this five-day festival, one witnesses the intricacies of the different traditional practices of the Galo people. Celebrated to usher prosperity and good luck, the festival worships the goddess Mopin Ane and begins with an auspicious note with people smearing rice power on each other’s faces. Decked in traditional white attire, young girls and women perform several traditional dances, which you will witness while you sip on the finest Apong or rice beer, as soon as you book your tickets for Arunachal! Plan A: International Flower Festival (Sikkim) – When all the flowers bloom and present a riot of colours, Gangtok opens its doors for the acclaimed flower festival that has increasing footfalls every year. Displaying 30 species of rhododendron, along with 400 species of orchids and several varieties of bamboo, the festival is thronged by tourists to witness the colourful fiesta. While people from all over mark this date to go holidaying in, make sure Sikkim falls into your list too. 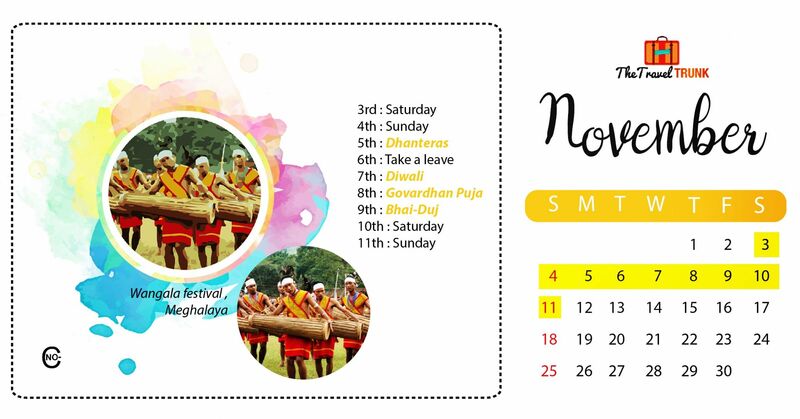 Plan B: Moatsu Festival (Nagaland) – Feasting and merrymaking the Naga way commences with the Moatsu festival, the foremost festival of the Ao Nagas. A marker of the completion of the sowing season, all the toil and work is forgone as people indulge in activities and programmes to rest and relax. The vigour of the men performing the warrior dances and women performing the folk dances, along with the delicacies that are painstakingly made, is what makes this festival quite unique. Plan C: Vibrant North East (Assam) – Organised by the Centre for Agriculture and Rural Development and the Associated Chambers of Commerce and Industry of India, the event comes forth in the form of an expo to present the best of the seven sisters and facilitate growth, communication, contacts and enable all the communities within their fold to flourish. The event encompasses of a few seminars, workshops and meetings, along with which the expo includes artefacts, handmade products, traditional foods and handloom. 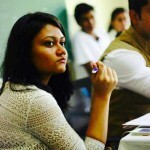 While the conference aspect of it may interest a few people, the expo organised alongside it is the one to visit at leisure. 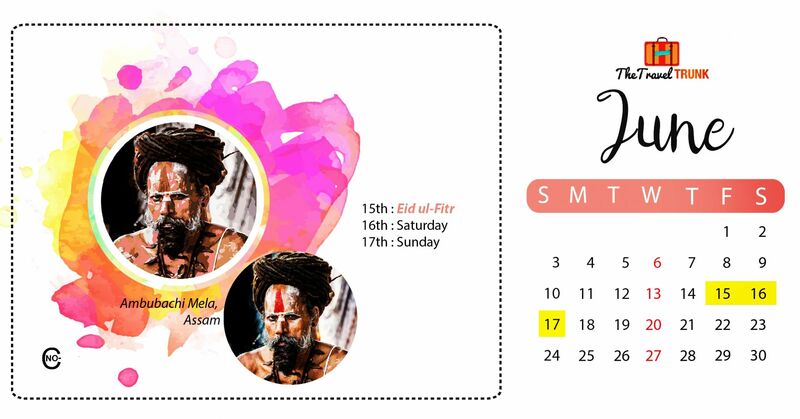 Plan A: Ambubachi Mela (Assam) – A celebration of menstruation, Ambubachi Mela in Guwahati draws in crowds from near and far. The Kamakhya temple becomes a melting pot of cultures, beliefs and identities as believers, gurus, yogis and tourists come together and take everything in. Quite chaotic and lively, words can’t explain the true beauty of this festival. 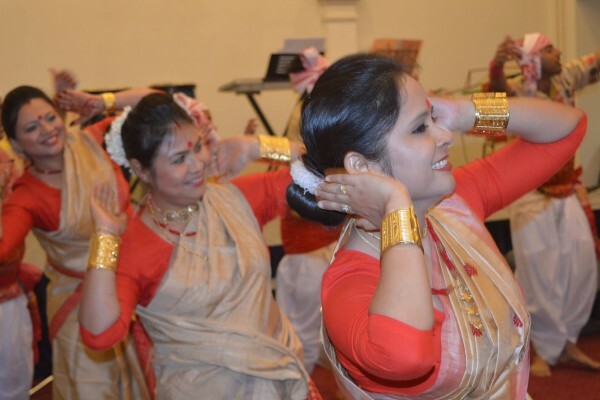 Come down and witness a one of a kind tradition in Assam. Plan B: Cherapunji (Meghalaya) – As the temperature begins to escalate, a trip down to the wettest place on the earth might just give you the respite. Replete with cascades of waterfalls, lush green forests and hills, it is a treat for the eyes. While in Cherapunji, don’t forget to clamber on the living root bridges that are native to Meghalaya. Plan C: Behdienkhlam (Meghalaya) – Uncanny to several people, this festival is celebrated to chase the Demon of Cholera away and to pray for a good harvest. Amongst the customs followed in the festival, the beating of the roofs of houses with bamboo poles remains the most intriguing part. The celebration isn’t complete without the folk dance forms and the prayers offered to different gods along with the feasting that is a requisite of every northeastern festival. Plan A: Dree (Arunachal Pradesh) – Imbibed with staunch beliefs and faith, the Dree festival celebrated in Arunachal Pradesh by the Apatanis is one of the biggest celebrations in the Ziro valley. Characterised with sacrificial offerings, prayers and rituals to please four Gods, the festival emerged as a source for the tribes to seek divine blessings for a good harvest. Community fests complete with Apong and local delicacies are an integral part of the festivities. Celebrations end with all the women brewing wine and gifting it to the near and dear ones. 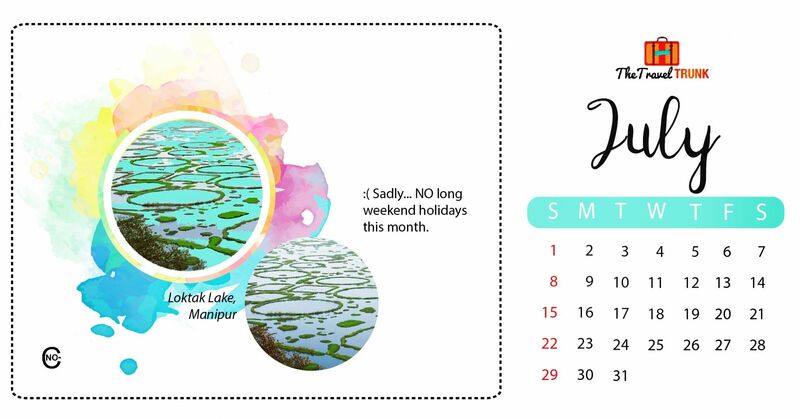 Plan B: Loktak Lake (Manipur) – Titled as the only ‘Floating Lake in the World,’ Loktak Lake in Moirang sustains and hydrates the people living across its shores and plays a vital role in the economy of the state. While several species of migratory birds seek refuge near the lake, other animals and plants thrive near it. Dubbed as the ‘Jewel of India,’ the lake is exquisite with its aquamarine waves that gently lap on the shores and the colourful vegetation that floats upon it. Ideal for quiet getaways, camping on the shores of this lake will be the highlight of your northeastern sojourn. 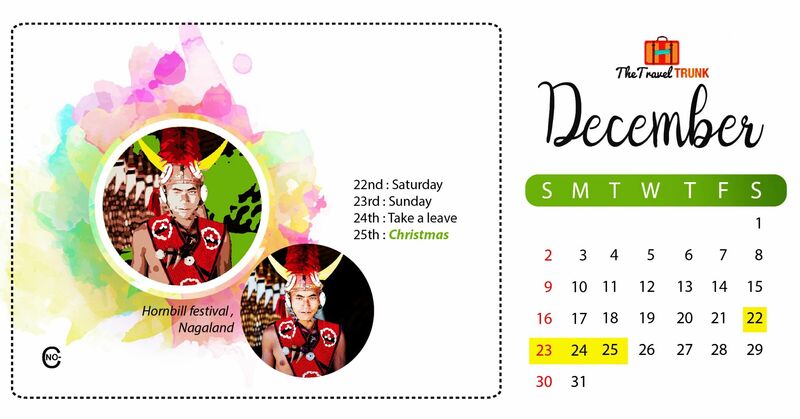 Plan C: Touphema Village (Nagaland) – Borne as a testament and an ode to the culture and history of Nagaland, Touphema Village became a creation of the Nagas to present a taste of their traditions to tourists. Built by the locals with the aid of the Department of Tourism, the village reflects the traditional houses and huts along with their architectural styles. Tailored to suit your needs, the village provides you the space to unwind and even the opportunity to immerse yourself with their culture and lifestyle while indulging in local activities. Plan A: Dzuluk (Sikkim) – Lying on the lower Himalayas, Dzuluk is a small village tucked away in East Sikkim, at an altitude of 10,000 feet. Ideal for the most offbeat road trips or the perfect destination for a quiet trip to get some much needed RnR, the place will fulfil all your travel needs. Feast your eyes on the sunrise over Mt. Kanchenjunga or witness some of the most exquisite species of animals and birds, you can extend your trip by wandering to the other points that comprise of the Silk Route. Plan B: Champhai (Mizoram) – On the road to Champhai, the path passes through vineyards and orchards, brimming with kiwis and passion fruits, giving a reflection of the little town tucked away near the Indo-Myanmar border. Replete with lakes and caves, the Murlen National Park, and Lengteng Wildlife Sanctuary, the town is an idyllic haven. Perfect for the weekend, go discover something unseen this August. Plan C: Kyongnosla Alpine Sanctuary (Sikkim) – At a height exceeding 3000 metres and lying boundless beyond Gangtok, the Kyongnosla Alpine Sanctuary attracts tourists due to flora and fauna that is unique to the region. Home to red rhododendrons, orchids, tall junipers and silver firs on the periphery, the area remains covered with snow much till May, when a riot of colours descends upon it. Perfect for trekking and exploring. 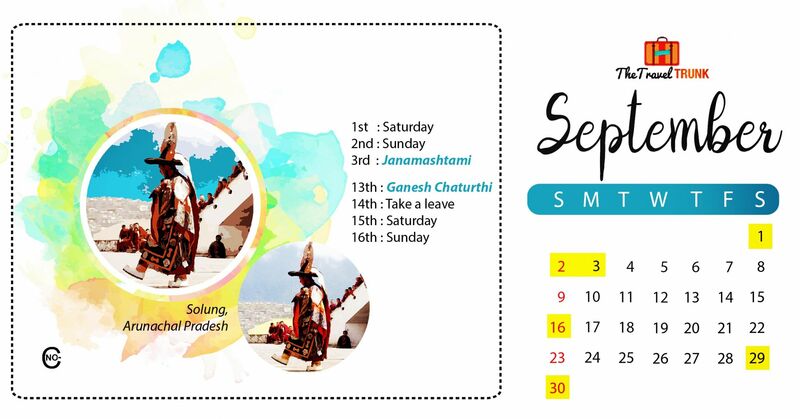 Plan A: Solung (Arunachal Pradesh) – Predominantly a harvest festival, this celebration of the Adi tribe is intertwined with their various religious, social and cultural beliefs and practices. Celebrated for seven days, the first day commences with the sacrifice of the Indian bison, followed by brewing Apong. The following days involve making offerings to various deities to ensure a good harvest. While feasting and exchanging gifts is one important part of the festivities, the Ponung dance performed by the young girls of the community is indeed yet another highlight. The festival finally ends with prayers and stories of the origin of the tribe that is narrated through song, while the menfolk gather to make bows and arrows that are fastened to the doors of every house-hold to keep evil spirits away. Plan B: Ziro Music Fest (Arunachal Pradesh) – One of the biggest music festivals in the country, the Ziro Music Festival spans four days and has some of the best musicians to create magic in the valleys of Arunachal Pradesh. Thronged by hundreds of people from over the country, the festival has a vibe unlike any other. A reflection of the hospitality of the Apatanis, it encapsulates the best of music along side picturesque landscapes and great fervour. Plan C: Mechuka (Arunachal Pradesh) – Known as the ‘Forbidden Valley of Arunachal,’ Mechuka Valley is nestled in a dale giving every tourist a bird’s eye view of the panoramic vistas. While the contrast between snow-capped peaks and lush green fields is a sight to behold, the beauty of the Siang as it flows through the hills and tumbles in cascades is one that you need to see. Quaint and small, this little town will lift your mid of the year blues and leave you refreshed and rejuvenated. 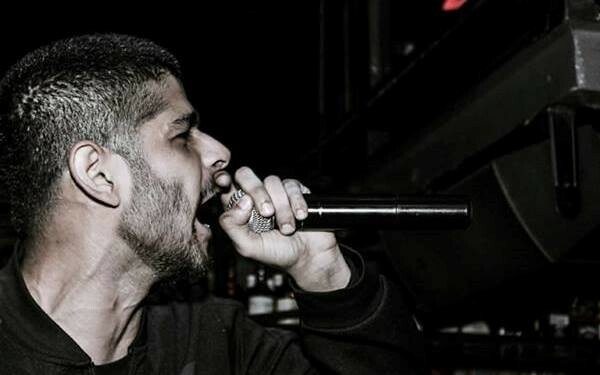 Plan A: Monolith Festival (Meghalaya) – Held in the hub of true Khasi culture, the Monolith Festival in Mawphlang celebrates the ties that bind communities together through music. What began as an initiative of the Khasis has turned into a huge event where all the communities and people in Meghalaya come together to celebrate, commemorate and preserve their ways of life. Over the years, it has been growing in measure and has garnered a huge crowd. Filled with indigenous music, soulful strains of various artists, cultural performances, delectable food and local souvenirs, this fest is renowned for the way it reflects the expressions of the communities and brings people together. 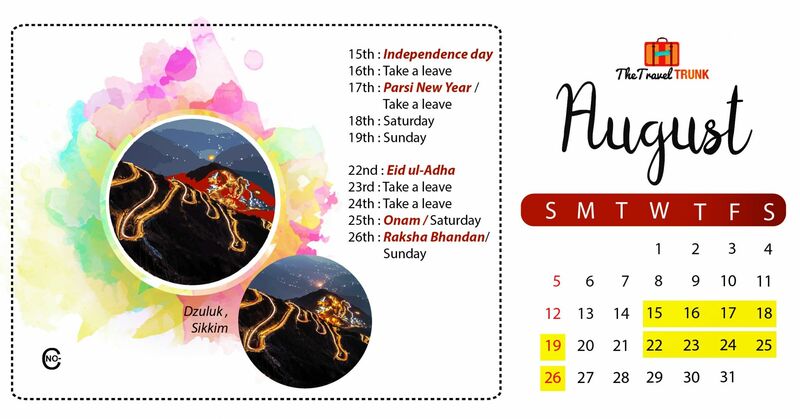 Plan B: Tihaar (Sikkim) – The Festival of Lights has its own Sikkimese spin as the populace celebrates it as Tihaar, which includes different rituals and practices that aren’t to be found anywhere else in the country. This five-day celebration is mainly dedicated towards worshipping creatures that hold great significance in their mythology and culture. The first day is dedicated to crows, the second to dogs and the third to cows. Besides offering prayers, earthen lamps are lit and fireworks light up the sky as the people celebrate the victory of good over evil. 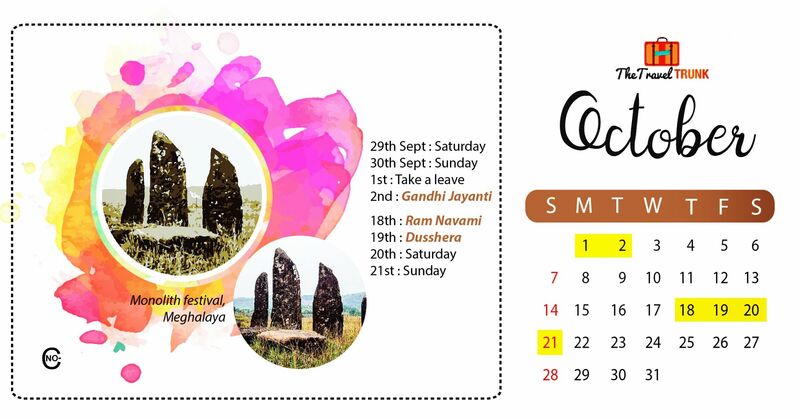 Plan C: Shillong Autumn Festival (Meghalaya) – A collective effort by the Government of Meghalaya and other organisations, the Shillong Autumn Festival is an occasion for merrymaking and fervour with a deeper message and cause. Comprising fashion shows aimed at nurturing budding designers, the fest showcases some of the most exquisite works using indigenous resources. While the main thrust lies within the fashion aspect, music, food, wine, kite flying and flower festivals are not to be forgotten. A much-awaited event, it raises awareness for environmental conservation, empowering local handicrafts and ecotourism, which is why the festival lays a great emphasis on fostering the talent of individuals who use fabrics from the region. Plan A: Cherry Blossom Festival (Meghalaya) – Carpeted with the gorgeous pink blooms, Meghalaya witnesses the beauty of cherry blossoms descending upon it each fall. As the world’s only Autumn Cherry Blossom Festival, the government has taken the impetus to nurture and help in the growth of the event. With plantation drives to increase the number of trees, this festival has garnered a great crowd that lands to take in the sights that were unknown anywhere else in the country. Other attractions include fashion shows, music performances, souvenir stalls and lots and lots of food to go around. 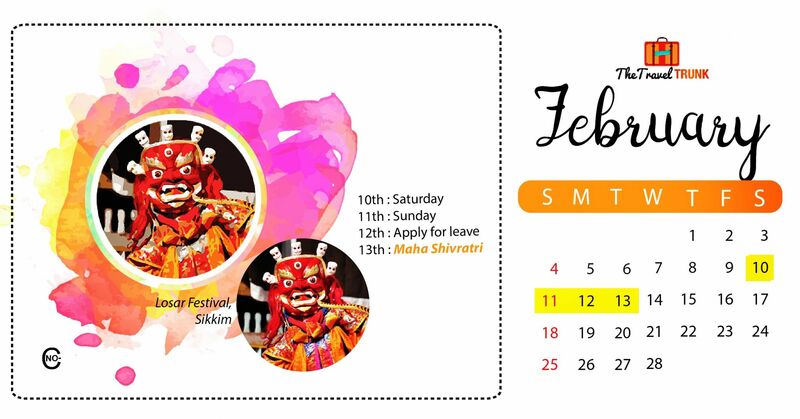 Plan B: Wangala Festival (Meghalaya) – Dedicated to the God of Fertility and celebrated in the honour of Misi Saljong (the Great Giver), the Wangala festival of the Garos has different connotations. Known as the 100 drum festival as it features music being played by a 100 drums, it is celebrated by dancing, singing, drinking and donning their traditional outfits. With their feathered headgear, traditional dances, rice beer and local food, this festival rings in the winter the right way. Plan C: Majuli (Assam) – The riverine island that is a melting pot of Assamese culture and traditions, Majuli is resplendent with panoramic landscapes, religious sites and the predominant Vaishnavite cultural practices. The world’s largest river island that was deemed as a district, Majuli has a charm of its own. 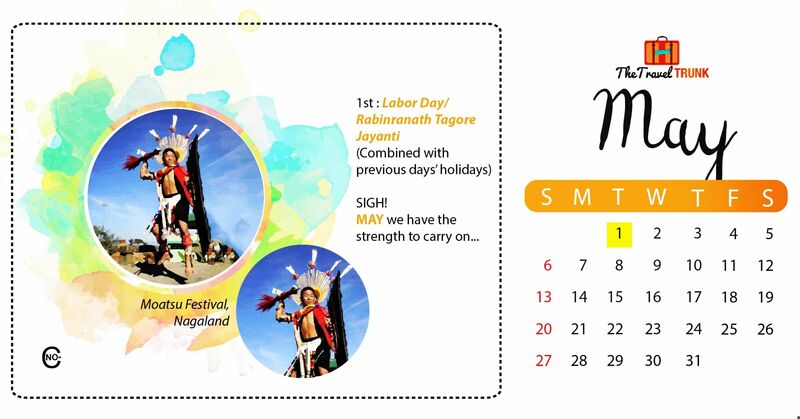 Plan A: Hornbill Festival (Nagaland) – There are more reasons than one as to why you should witness the Hornbill Festival. Rightly named as the ‘Festival of Festivals,’ it is a festival of different identities, cultures, traditions and practices that come together for ten days. Fun, food, music, you name it and you have it. Traditional dance and customs, unusual and delicious food, handcrafted souvenirs, and other activities keep tourists busy. Plan B: Tea Festival (Assam) – Celebrated with immense gaiety, the Assam Tea Festival features different varieties of tea that are cultivated all over the state. 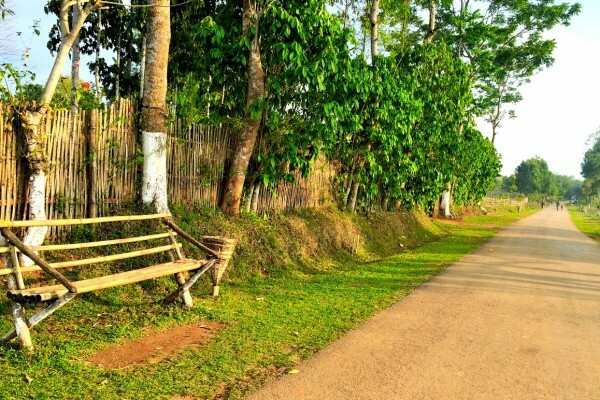 Held mainly in Jorhat, which boasts of the Teklai Experimental Centre, the event includes plantation visits, safaris, a few rounds of golf and delectable local food to choose from. Sip and savour the finest blends from all nooks and crannies of the state as you watch the events lined up for the festival. Plan C: Orange Festival (Arunachal Pradesh) – Being the first music and adventure festival in the country, the Orange Festival features the best of both worlds in a one of a kind combination where-in you can participate in all kinds of adventure activities from zip lining to river rafting to angling and so on while tapping your foot to some of the best bands in the country. An initiative of the State Government, the festival gives you the freedom to enjoy everything to your heart’s content. If you’ve had your dose of adventure for the day, browse thorough the stalls, sample the delicious food and feel the adrenaline and excitement coursing through your body. All creatives by Nocy Rangsa Marak.